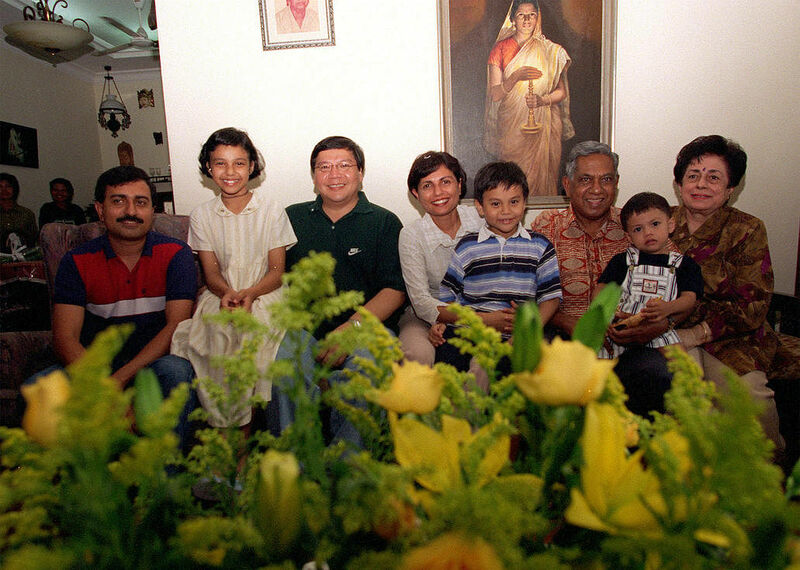 Former president S R Nathan launches his personal memoirs, An Unexpected Journey. It is the morning after Nomination Day. Already, the first of many costs to the President-elect's privacy is apparent. Mr S. R. Nathan strides into his former office at the Ministry of Foreign Affairs with a watchful security officer in tow. Inside, secretary Cheong Cheng Hoon is taming the tide of congratulatory faxes. Sheaves of correspondence await at his desk and there are numerous telephone messages. Looking decidedly more harried than when he first announced his candidacy a fortnight ago, he says: "I thought I've told the press everything." As it turns out, he has not. "I wore an ear ring until I was 16 or 17," he reveals at one point in the interview, cupping his right ear. Sellapan Ramanathan was a gift from God, because his mother had him only after she went on a pilgrimage to a holy site in Rameswaram in India. His three older brothers had died when they were very young. To ward off evil spirits, the young Nathan was made to put on the earring. "Indians are like Chinese, they also have their pantang ," he says about the superstition. "But it was very embarrassing for a young boy in those days and I was always protesting to my mother." Young Nathan's idyllic childhood was spent with his three older sisters and parents in Muar, Johor. Their house fronted the sea. 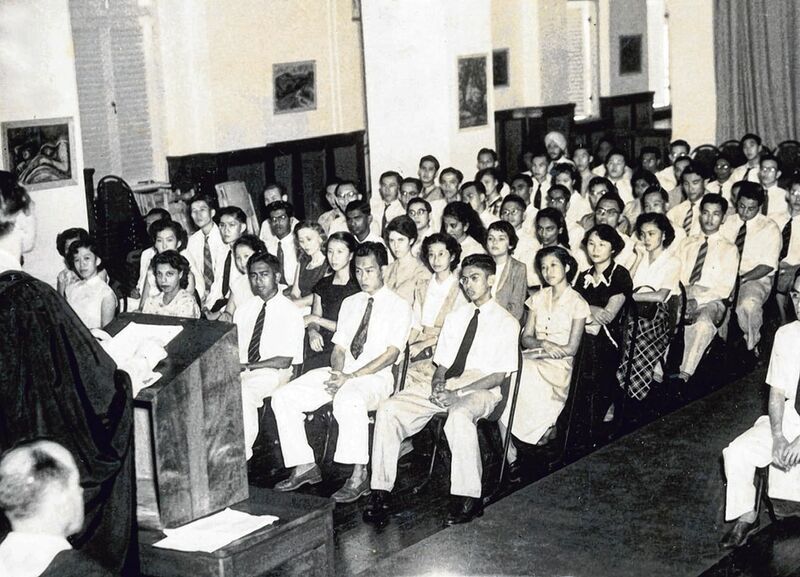 His father had been posted to the Malayan town as a lawyer's clerk in a firm that serviced rubber plantations. But the rubber slump of the 1930s sent the family's fortunes crashing. Father accrued debts and eventually lost his job. By then, the young Nathan had returned to his birthplace, Singapore, to live with an uncle and enrolled at Anglo-Chinese Primary school. 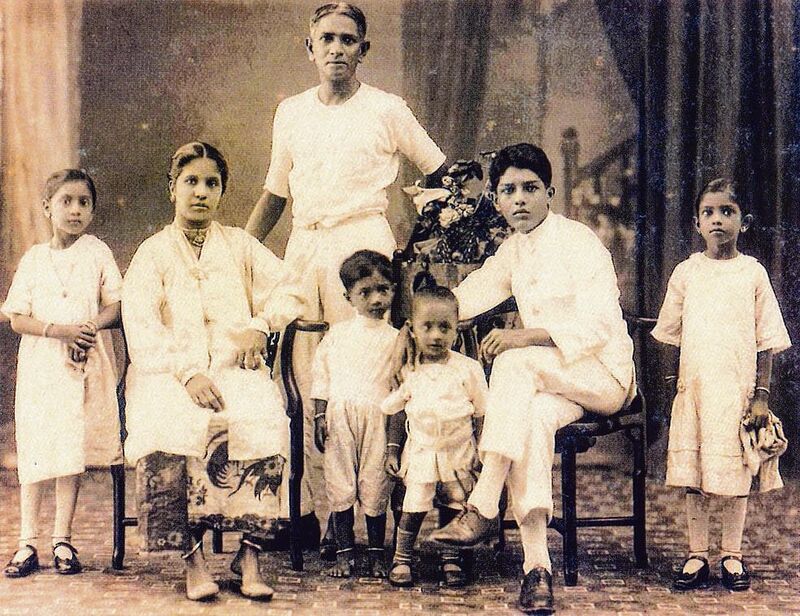 The family followed soon after and moved into the uncle's house, then to an aunt's place at Ceylon Road, before moving house again. There were now seven children to maintain. "After some jobless months, my father had some Chinese contractor friends who gave him a job at Changi Granite Quarry." But, unable to cope with the hardship, his father killed himself at the workplace late one night. Nathan was eight, much too young to understand what had happened, when the police came knocking at their door. "All I remember was, I kept asking the people around me, 'When is my father coming home? ', 'Where is my father? '," he recalls. Pause. His voice wavers and his eyes water at the memory. "Let's move on," he says, more composed. He proceeds to tell a compelling story of a life guided by old-fashioned values of hard work, courage, loyalty and duty. The fact that most who have encountered him socially leave with the impression that he is friendly and humble, leads you to conclude that Mr Nathan probably knew about emotional quotient long before Daniel Goleman invented the term. But make no mistake, the former civil servant can also be tough. Those who have worked with him say he can be stern and demanding when he thinks it necessary and is dead serious about work. And when he is angered or hurt, it takes him time to heal. Indeed, this was how he landed up as an office boy. He left home at 16 after a quarrel with his mother about school. He declines to reveal the details. "It is water under the bridge and I have caused my mother enough pain, so leave it at that," he says. He fended for himself on the streets for three days before finding work as an office boy at Arbenz & Co, a Swiss firm. After earning enough to maintain himself, he decided to leave Singapore because he was afraid his estranged family might find him. He headed back to Muar. "I remembered the place so fondly, so I wanted to re-visit the past." There, he looked up an old barber and stayed with him, while working as a clerk. It would be another four years before he was reconciled with mother and the family. Life took another turn when war broke out. For Mr Nathan, the atrocities and privations of the war count as a major defining moment: "You saw the best and the worst in people and you matured ahead of your years." He recalls in particular a conversation with a Japanese military officer. "He asked me what my nationality was. I was stumped." Another question: "Why did you learn English?" Mr Nathan: "To earn a living." The officer: "The Japanese are going to be here for some time. Why not learn Japanese and earn a living?" He was handed an English-Japanese dictionary and when he went home, leafed through it and found that the syntax and expressions of Japanese were similar to that of his mother tongue, Tamil. From that one dictionary, he mastered the language and became such a good translator-interpreter that he was moved upwards from one organisation to another, until he found himself attached to the top official in the Japanese civilian police. "The Internet says I was with the Kempeitai, the military police. That is just not true," he says. The war, he says, brought a consciousness against colonialism and sealed the desire to be master of one's own destiny. Another defining moment for him was witnessing the racial riots of 1944-45 in Batu Pahat, just after the Japanese surrender. "I saw for myself the horror of racial hatred and to this day, racial harmony is somethings very precious to me," he says. During the war, Mr Nathan met and fell in love with a beautiful Bengali girl, Urmila. Coincidentally, she had lived as a baby just a few doors away from his family in Muar. Her parents were opposed to the match. They courted for 16 years before her parents finally relented. "But her mother took me in as a son and I am deeply grateful for that," says Mr Nathan, who to this day sports an old watch given to him by his late father-in-law. They married when he was 34 and she, 29: "We couldn't elope, my mother would have been upset, so we waited." Asked what he is like as a husband, he replies promptly with a broad smile: "Loving, lah!" Their marriage produced two children, Juthika and Osith. Juthika, 40, a civil servant, and husband, lawyer Cheong Gay Eng, 41, have three children, aged 10, seven and two. Osith, a 36-year-old business and financial consultant, is single. Mr Nathan was 28 when he decided to go to university. Before that, he had studied for the equivalent of the A levels on his own while holding down a job. "My wife already had her certificate and she was going on to the Teachers' Training College, so I thought I'd better catch up with her." Those being the poverty-stricken days of the 1950s, he managed to go to university only because of a Shell scholarship, which paid him $2,000 a year. He took no-pay leave from his job as a clerk at the Public Works Department and, during vacation time, would go back to work to earn extra pocket money. At university, he was in the pioneer batch of eight students who opted for social work. Former university mate Lim Chong Yah, chairman of the National Wages Council, remembers being impressed that Mr Nathan "was so interested in the underprivileged". He also gave free tuition to disadvantaged children. As a mature student, Mr Nathan was ragged especially hard. Professor Lim remembers he was made to sing and recite poetry and tell a few jokes. Mr Nathan himself says: "Oh no, I can't repeat those jokes!" But Prof Lim says: "He took it well, he remained cheerful throughout." Indeed, Mr Nathan's eyes light up when he recalls his university days. With an enormous capacity for detail, he cites names, faces and places as if the events happened yesterday. He recalls the year he shared a room with Dollah Majid, a Communist then. "He was the best roommate. He kept everything clean and put away your laundry and would make coffee for you," says Mr Nathan with clear delight. But what he treasured most about the friendship: "He never did try to influence me to his ideology." It was in university too that Mr Nathan struck a firm friendship with Mr Chia Cheong Fook, 74, that has lasted almost half a century. Mr Chia remembers him as an "exceptional student". "He was the best student in class. He got an A for his thesis, but he never told us his marks. He is the very humble type and I knew about it only some years later and not through him." He describes Mr Nathan as a self-effacing man who would be "very embarrassed" by all the things that are being said about him now that he is in the limelight. "Nathan by nature and by training doesn't seek the limelight. "I cannot remember a single incident where he has consciously or unconsciously sought public attention for himself," says Mr Chia, now chairman of the Institute of Southeast Asian Studies. "If you look the files, there's no mention of him, no photographs, unless when it couldn't be helped, like the Laju incident." 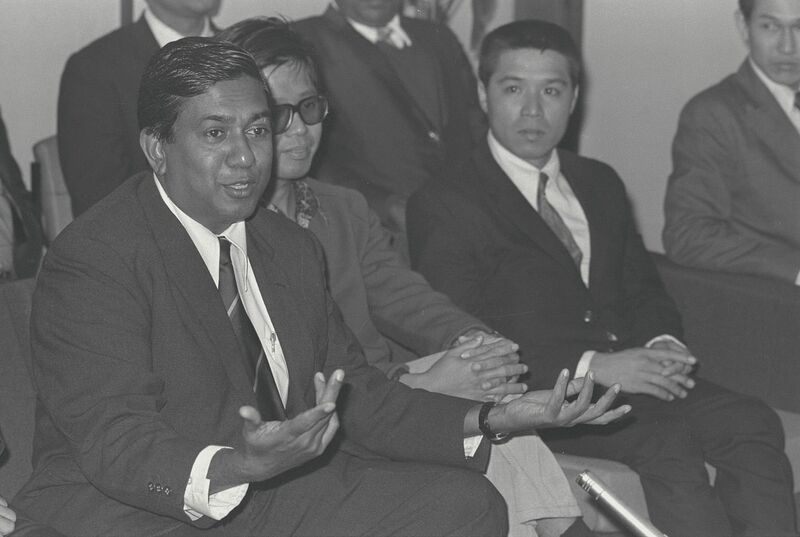 In the Laju affair of 1974, Mr Nathan was in the team that negotiated for the release of crewmen of the Laju ferry which had been seized by four hijackers from the Japanese Red Army and the Popular Front for the Liberation of Palestine. The terrorists had earlier set off a bomb on Pulau Bukom. His calm and decisive actions during the eight-day hostage drama ended with his leading a delegation of 13 officials who accompanied the hijackers on their flight to Kuwait. 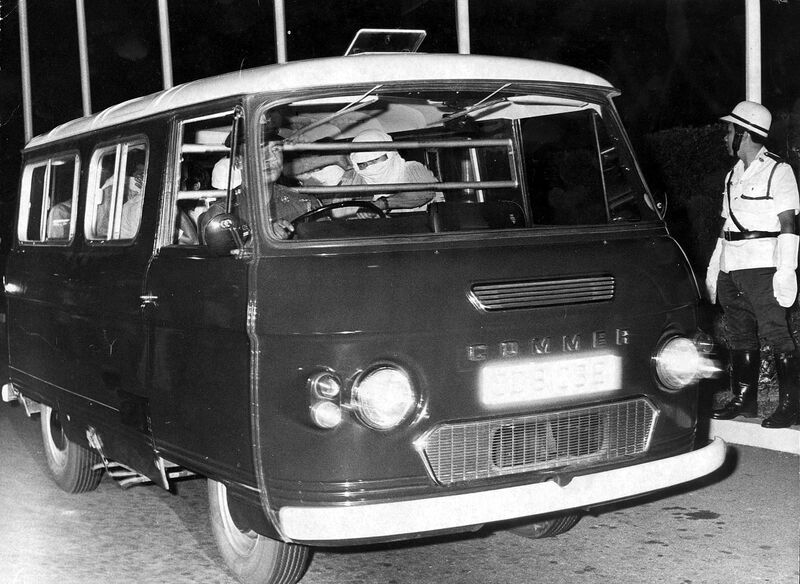 The officials had gone with the hijackers as guarantors of their safe passage. Recalling the incident, Mr Nathan says: "When you're in a crisis, it clears your mind. You don't think about your own life or personal safety, you just think of how to deal with the crisis." Many details of the affair are still under wraps, but Mr Nathan and the team performed so well under pressure that all later received a heroes' welcome and National Day honours. Best known for his roles in the security and diplomatic fields, Mr Nathan's other life as a social worker and trade union activist have only come to light more recently. Having come up the hard way, he says, he has always wanted others similarly disadvantaged to succeed. He always has time for the common man, says everyone approached for this story. 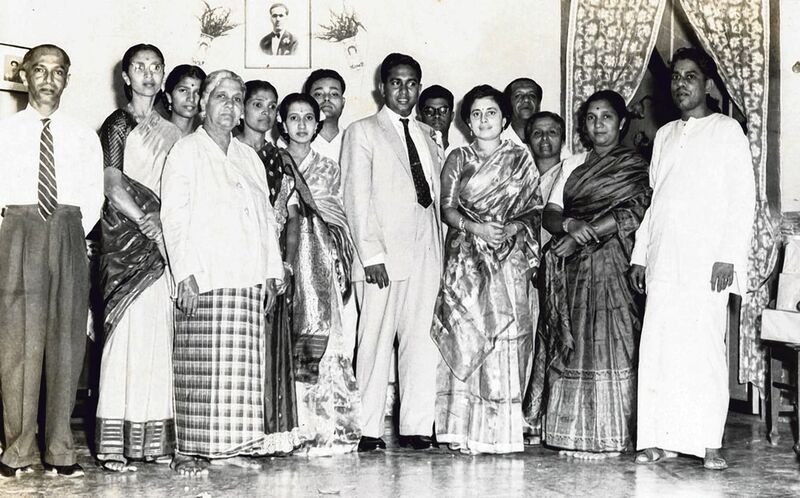 At his annual Deepavali parties, the people who attend are not just the powerful, but the peons and coffee boys and office attendants he knew from as far back as in the 1950s and 1960s. One person who shows up at these functions is Mr Poh Boon Koh, 61, now Chief Licensing Inspector, Singapore Broadcasting Authority. 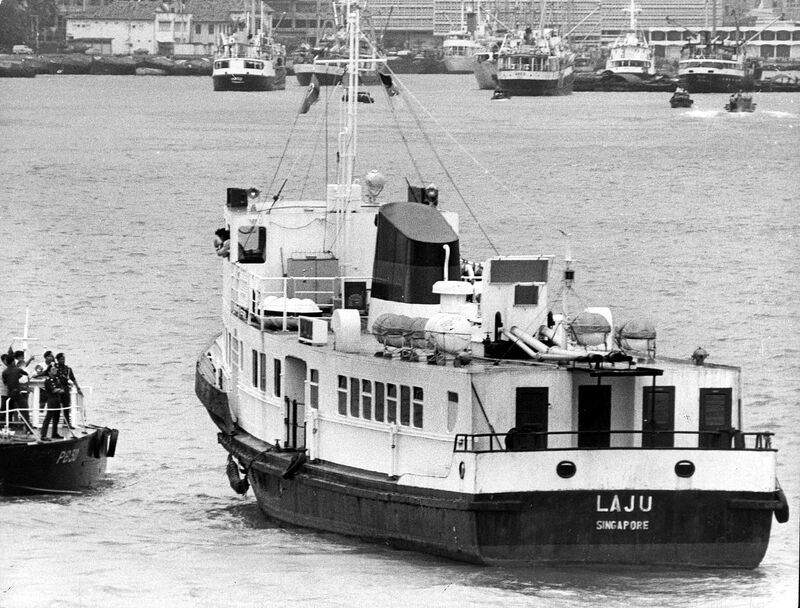 Mr Poh says that he will never forget the little kindnesses shown to him when they both worked for the Seaman Welfare Office in the early 1960s. In 1962, Mr Poh wanted to go to Japan to attend a Scout Jamboree, and the ship's fare was $150. He made only $138 a month. When Mr Nathan heard that Poh was short of funds, he told him not to worry. "He was very confident and got $200 from the Lee Foundation for me. He told me to keep the extra $50 as pocket money," he says. ''If Mr Nathan didn't help me, I would not have had a chance to go to Japan." The effort he made for the trip earned Mr Nathan a lifelong admirer in Mr Poh. He also recalls how in handling the complaints of the retired seamen, Mr Nathan always went out of his way to make sure that they were not hoodwinked by their employers. When it came time for them to receive their payments, says Mr Poh, "he would send me along as 'security guard' because they were illiterate, so I could help them count the money". Mr Nathan's capacity for remembering people again crops up, when Mr Poh reveals that he would always ask after the junior staff he used to work with in the 1950s. Over at the unions, older colleagues remember his tenacity in strengthening the movement after the exit of the communists and left-wing elements. Mr R.O. Daniel, 77, a retired civil servant who worked with him in the Labour Research Unit, says: "He understood human beings." Mr Daniel remembers the heated meetings with various workers' groups and how Mr Nathan would listen to them for hours on end as they voiced their grievances. "I often wondered how he could be so patient," he says. And after the listening was done, he would then bring them over to his point of view slowly but surely - all without losing his temperor being abrasive. "He had diplomacy inherent in him even from the early days." Asked about his work style and philosophy, Mr Nathan himself does not paint any big picture or strategy, but uses only one word to describe the simple code he lives by: "Duty." Duty to friends and family. Duty to fellow men. Duty to country. As for the praise that others have heaped on him, he brushes it aside, and refuses to add to the stories. Instead, he replies simply: "I am what I am."